This entry was posted in FUN! 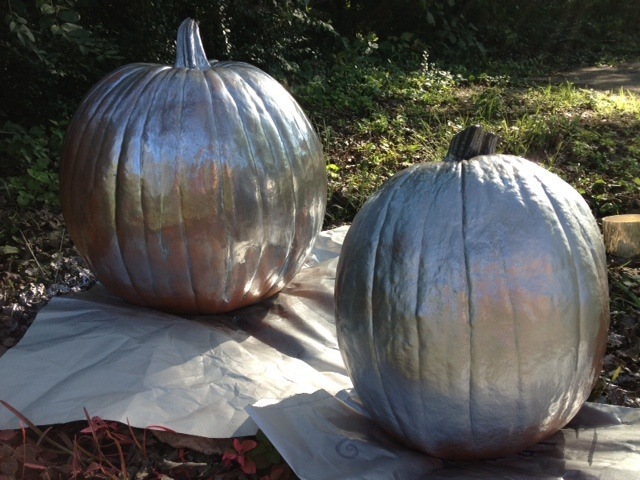 and tagged Accessories, Blog, caption, decor, decoration, diy, gourds, Halloween, Halloween decor, halloween decoration, home decor, Life, Nashville, orange pumpkins, pumpkin, pumpkins, spray paint, spray paint pumpkins, style. Oooh now theres an idea!! Those turned out great! 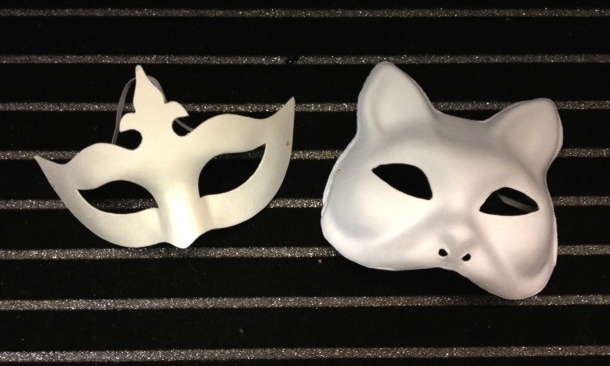 I love the masks. Im thinking the boys would be a cute BatCat and Robin. OK, you may have just solidified their Halloween costumes if I can find pet masks!!!!!!! I admire&commend your gourds as upstanding! When I First saw the silver one I thought of the golden egg goose and started to worry what Ted was passing! Glad it turned out okay. Ha! Naturally Ted’s would be gold! I’m not really judging so much as I’m thinking, “how can such fun woman not have a noncat boyfriend or husband?” Lol. Those gourds could use mouths, I think, otherwise they’re awesome! I hope you get lots of kids to your door this Halloween. You are SO right about the damn pumpkins needing mouths. How could such a loud mouthed lady miss such an important detail? I feel another paint project coming on. 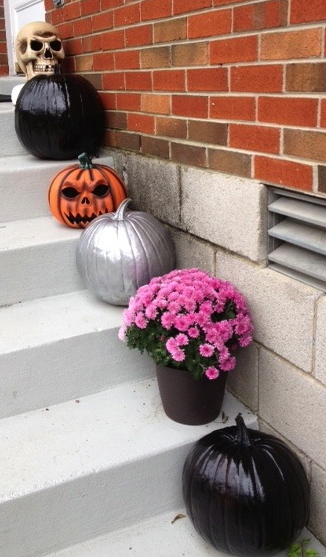 I didn’t think you were judging – I mean, isn’t it every man’s dream to marry a girl who spray paints pumpkins with her cats as a Halloween past time??? Acting! Drama! Out of your gourd!! Fabulous as usual, CBXB. Man! I seriously need to consult with you before posting. I like the ‘out of your gourd’ line! Thank you my fellow fashion lover! I’ll admit those gourds look terrific! You should be on HGTV! 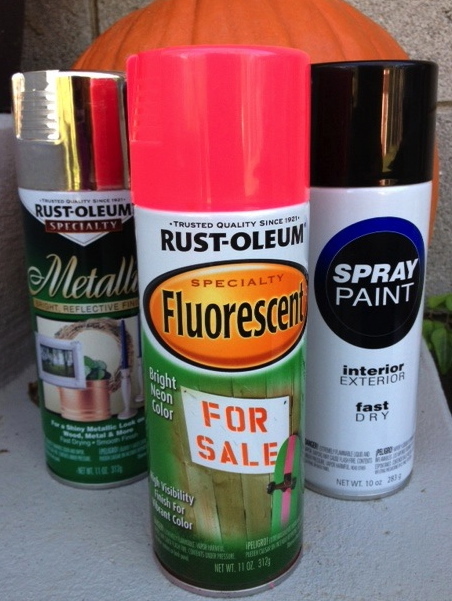 Now you’re talking…a cheap, easy, trashtacular do-it-yourself kinda show. With cats as sidekicks, of course. I think you need a man soon! You’re starting to sound like a crazy cat lady! Well, being that I AM already a crazy cat lady, both Ted and New Cat are male so I’m set! Love this! 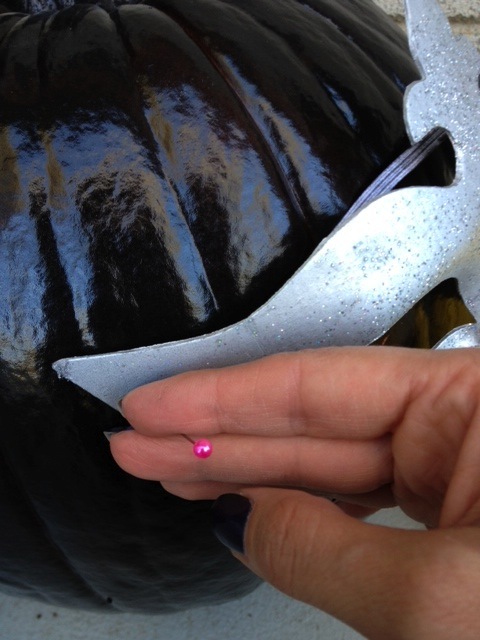 I bought a mini pumpkin for my kitchen and after about a week I also felt compelled to cover it in glitter. It looks much better now. All things must sparkle! Oooh I love that you covered it in glitter! Great minds think alike, girl! Oooh, me likes!! I’d much rather do that than – gulp! – carve! I’m waaaaay too much of a perfectionist for carving. I about drove my mother batty growing up because the mouth was NEVER carved correctly. The horror! Which is why I now stick to paint. OMG, those look so cool! I may have to try that!! 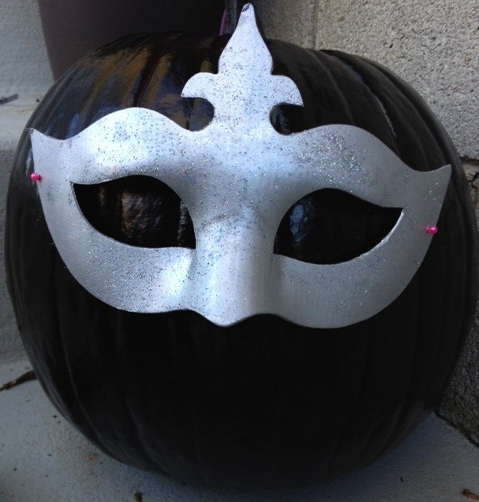 Your silvery Pumpkin gourd thang needs a black mask too. Or perhaps a piratey black stencil?? Love your Holiday flare my friend. Does Halloween rock or do you ROCK HALLOWEEN?!? Ooooh! A priatey black stencil. YES! YES! YES! Now here I was thinking that Halloween rocked but as you pointed out, I rock Halloween. SNAP! Well look at you Queen of Craft & Creativity! Bummer about the grass but for SUCH a good cause. 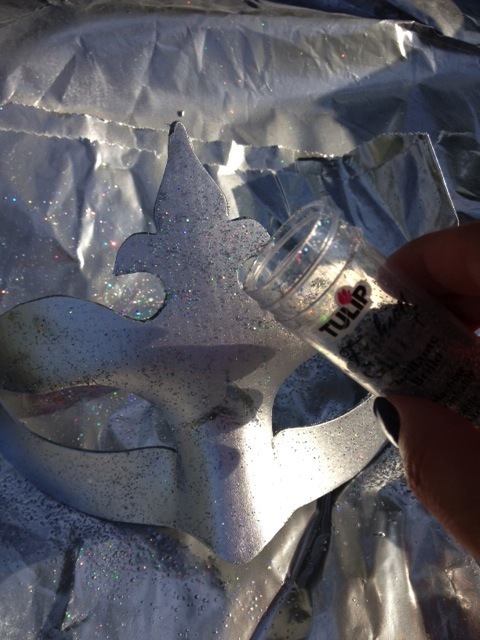 Really loving the silver – who knew? Naturally I couldn’t go with any other color than metallic silver. And the grass needed some love anyhow, I just helped with a makeover! but there is always Christmas! oh yes, it’s soon Halloween!! 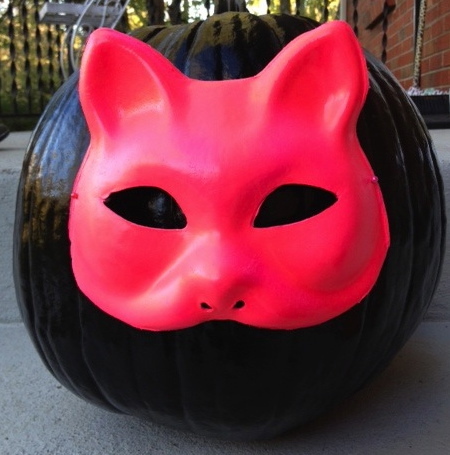 Love that silver pumpkin but the pig mask? It’s scary! 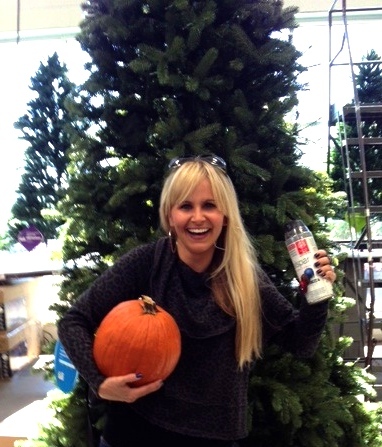 Just trying to make my pumpkins chic, while also staying scary! Wouldn’t be Halloween without that! 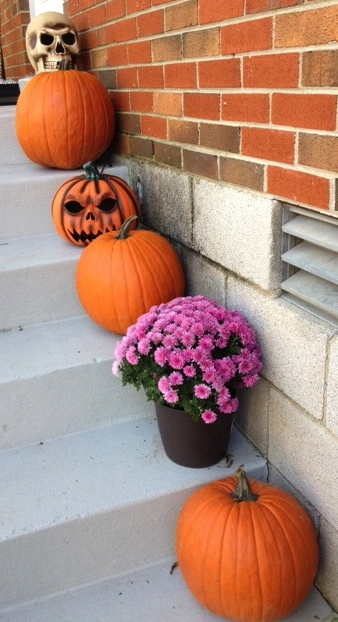 You got you some nice pumpkins! Haha! Well thank you my friend! Ha! Thanks for not judging! I haven’t gotten my Christmas out yet, just thinking about it…maybe this weekend?! 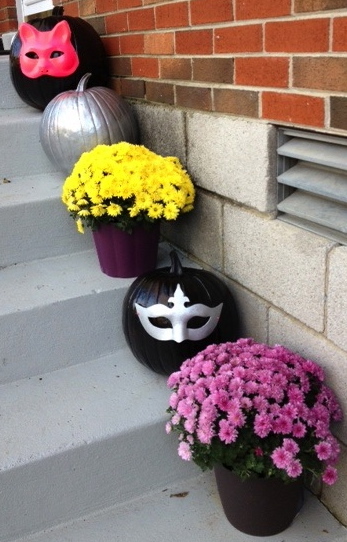 Love your pumpkins and the are in great style ! !